Kaffir limes are a citrus fruit found in tropical parts of Asia. The rind is green and bumpy, and is used in Thai and Lao cooking. The juice is very sour, and not used in foods. 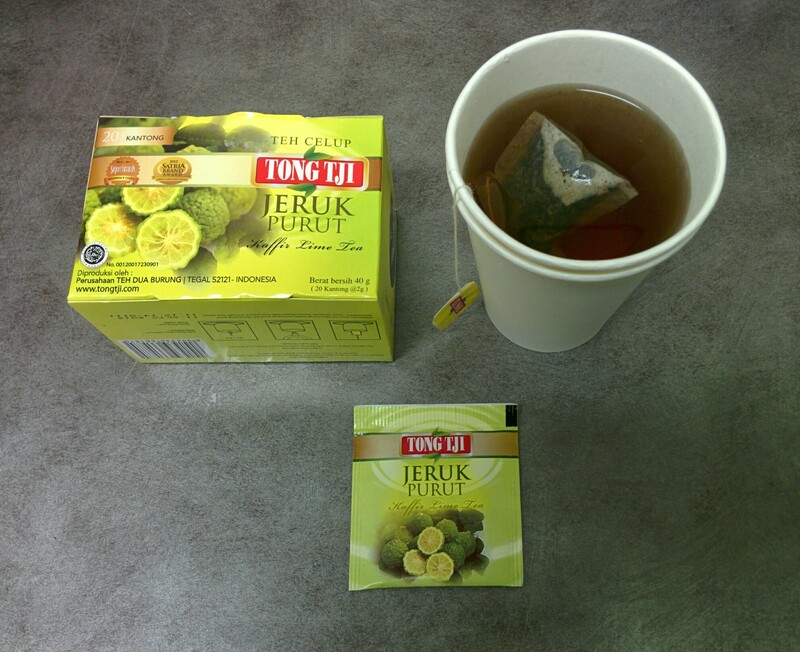 This Kaffir Lime Tea from Tong Tji comes from Indonesia, and tastes really really nice. I let the bag steep for about 3 minutes. The flavour of the citrus zest is perfectly balanced with the tea. 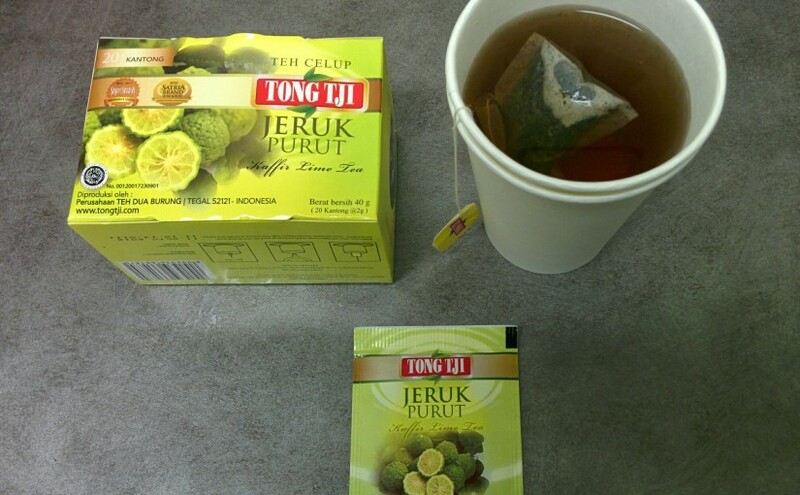 Don’t worry, they seem to have not added the sour sour juice of the Kaffir lime!